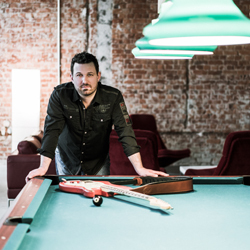 Born 1970 in Leverkusen, Germany, Christian Tolle was raised in a family where music had, and still has, its place. With a father who is an enthusiastic singer and a grandmother who played great piano, he discovered music quite early. At the age of 12, he got a guitar and took classical lessons. Soon after that, he got a Stratocaster copy and rocked the neighborhood with power chords and Heavy Rock. His first definitive statement was in 1987, when he released a song on a compilation of the German musician magazine “Musiker” at the age of 17. Many wonderful band efforts followed. 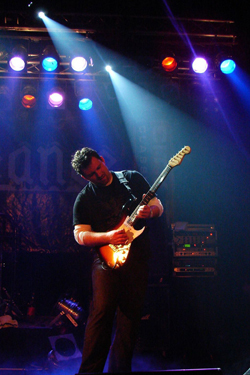 He played with the Cologne-based bands Underdog and Black Rose. In addition, he studied economics and started freelancing for WDR radio and the largest German musician magazine FACHBLATT. Tolle recorded, then, with Steve Lukather, Tim Pierce, Michael Thompson and Lauren Scheff in LA. But not only the big names make his albums strong. Every musician put his/her whole heart and soul into the songs. And that is still the main goal behind C.T.P. The debut cd Better Than Dreams was released in 2000. It got excellent reviews and feedback from the press, media and the AOR community. 5 years after the release of Better Than Dreams it was time to continue. With the release The Real Thing, Christian again delivered 10 songs, that feature a refreshing variety of modern Rock music. An impressive list of guest musicians gives the album a very special flavour. 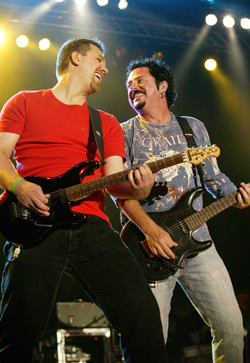 Christian is again joined by Steve Lukather, Doug Aldrich, Morris Adriaens, Chuck Wright, Lauren Scheff, with Pit Hupperten, Stephan Scheuss and John „Jaycee“ Cuijpers handling vocal duties. Because of the great chemistry between Christian and frontman John Cuijpers, both decided to join forces. With the Dutch based band Cooper Inc. Christian supported TOTO in 2005, 2006 and 2007, Vengeance, Kane and Jorn. Cooper Inc. also did many shows on their own especially in the Benelux area and Germany. 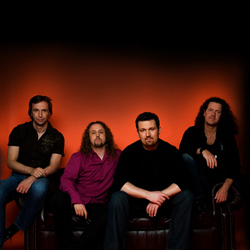 The band got together with producer Michael Voss to record the full lenght album Pulling The Trigger, which got released in October 2009. 2012 was the year of C.T.P. again: The third release The Higher They Climb got released on Fastball Music in March 2012. Christian and Michael Voss co-produced 12 tracks between summer and winter 2011. The result is nothing short of stunning meldodic rock. Performed with an incredible amount of energy the album contains a powerful mixture of hard hitting Heavy Rock tracks and catchy hooklines, great guitar work and some of the best voices in the genre: David Reece (Ex-Accept, Bangalore Choir), Leon Goewie (Vengeance), Paul Shortino (King Kobra, Ex-Quiet Riot, Rough Cutt) and Michael Voss (Michael Schenker, Casanova, Mad Max). Christian also invited a few of his friends to join as guests: L.A. guitar wizard Michael Landau, Ben Granfelt (BGB, Ex-Wishbone Ash), Andy Susemihl and Morris Adriaens perform a guitar solo on one track each and give the record a special flavour. The fourth C.T.P. release Now & Then is a very special one: Christian revisited some of his best tunes from the past and re-recorded them, added a bunch of great new tracks and wrapped everything in a very organic production. A wide variety of classic rock tunes, from hard pushing uptempo tracks to catchy AOR anthems. Christian is joined by John Parr, Philip Bardowell, Rick Riso, David Reece, Michael Voss, John Cuijpers, who deliver the vocal goods. Drummer Raymond Herveille sets the beat, Chuck Wright, Lauren Scheff and Christian himself rock on bass. Add Steve Lukather, Michael Landau, Tim Pierce and Doug Aldrich guesting as guitar players and the menu is set: Now & Then delivers excellent Classic and AOR-Rock with great hooks, energy and melody, no fillers - just great songs. Track by track! Classic Rock with a modern twist: On Point Blank - the upcoming new record set for release in fall 2018 on CTM ChrisTones Music / Fastball - C.T.P. gets a bit heavier and will please Hard Rock fans with a great cast of musicians as well as with punchy, groovin’ tunes in a crisp and fat sound. David Reece (Ex-Accept, Ex-Bonfire, Sainted Sinners) and John Cuijpers (Cooper Inc., Ayreon, Praying Mantis) take the lead vocals with Christian handling guitars, bass, drums and production. Add Morris Adriaens on keys and backing vocals as well as Mathias Dieth (Ex- U.D.O, Ex-Sinner) and L.A. based buddy Doug Aldrich to guest for some stunning lead guitars, you can expect nothing less than a straight and excellent rock record, touching musical roots of the late 70s and 80s with lots of hooks and energy delivered in a modern sound. Beside his own releases with C.T.P. 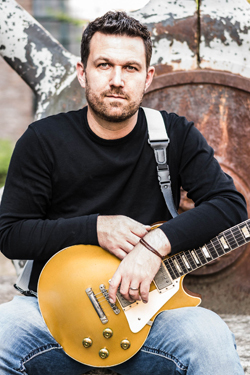 and Cooper Inc. Christian is also very active as a session player, songwriter and producer for a couple of years. He contributed songs for other bands and artists such as David Reece, Bangalore Choir, Vengeance, Reece/Kronlund, Universe or Tango Down for example and was honoured to work with some of the greatest musicians around. Christian recorded for Bangalore Choir, REECE, Vengeance, Andy Susemihl, Lauren Scheff, Kevin Martin, FIASKO, as well as playing live with Wolf Maahn, David Garfield, John Pena, Eric Marienthal and Russ Miller. While co-producing for the the great Frenchman Frédéric Slama of AOR fame, Christian joined recordings with Philip Bardowell (Beach Boys), James Christian (House Of Lords), Steve Newman (Newman), Rick Riso, Bill Champlin, Vinnie Colaiuta, David Diggs, Sarah and Melissa Fontaine (Chasing Violets), Ken Sandin, David Mark Pearce, Manu Esteve and Alessandro Del Vecchio.